On May 28, 1935, the world saw the release of Tortilla Flat. 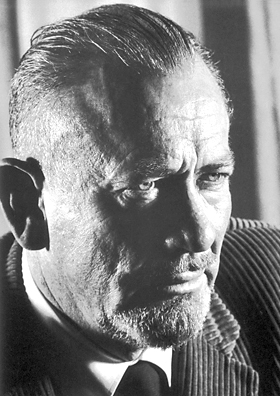 It would become John Steinbeck’s first truly successful book, heralding the arrival of a truly distinguished American voice. Steinbeck later went on to write more ambitious novels like East of Eden and The Grapes of Wrath, ultimately leading the author to a Nobel Prize in Literature. But before all that pomp and regard, there was a slim, comic novel about jolly laborers passing time in California.